Lituba Lodge - Big Bend Accommodation. Lituba Lodge is set in a beautiful and tranquil rural setting where it nestles beneath the shadow of the Lubombo mountains just off the main road between Big Bend and Siteki. Just 25 minutes drive from the new Sikhuphe International Airport, and is on the main route from Durban and Kwazulu Natal to Kruger National Park and Mozambique. A rustic lodge with a 26m thatched bar and restaurant which offers a full a la carte menu and specialises in seafood. Our menu competes with the top restaurants, but our prices will make you smile. There are 9 exquisite thatched rondavels all fitted with air conditioning and all with en suite bathrooms. Lituba in SiSwati means dove the lodge was so named after the bird which is indiginous to the area. 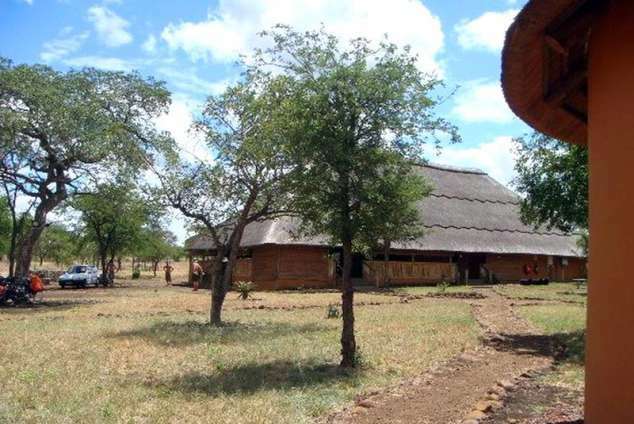 Lituba Lodge has a large restaurant, constructed from traditional indigenous materials, using timber frame and a thatched grass roof, which makes it light and airy and the grass roof keeps the restaurant cool in the summer. The restaurant looks out over the beautiful Swazi lowveld bush with views to the nearby Lubombo mountains. The menu is diverse and offers a blend of Swaziland traditional fare and fresh seafood obtained from nearby Maputo and the Indian ocean. The professional conference venue is a large room and is able to seat a maximum of 100 delegates in a cinema layout style, and 75 delegates in a U-shaped table layout style. This room also has a media projector and screen available, making it easier for the delegates to make a more meaningful presentation. The restaurant can easily handle a celebration catering for up to 200 people and there is a braai stand for people wishing to bring their own food and cater for themselves. We can also provide a DJ, music and audio equipment for your party. We do not allow people to bring their own drinks except by special agreement, but there is a fully licensed bar. The Lodge is an ideal location for your braai. We allow our customers to bring everything they need from home and cater for themselves, for a small hire charge. We can also provide a DJ, music and audio equipment for your braai. We do not allow people to bring their own drinks except by special agreement, but there is a fully licensed bar. There are plenty of things to do around Lituba Lodge. Tiger fishing at Van Eyck Dam - we have a small boat and can arrange trips with prior notice. Hunting trips can be arranged at a local hunting lodge. Clay pigeon shooting is a wonderful way for the non hunter to experience the thrill of shooting without animals involved, a clay pigeon shoot can be arranged for interested parties at a local purpose built clay shooting range. For the racing fraternity we have developed a 2km quad and trial bike racing circuit within the grounds of Lituba Lodge, a quad bike can be hired at the lodge if you would like to experience going off-road. Other activities that can be arranged include:- cultural tours with a visit to a traditional Swazi homestead; archery and target shooting. For the thrill seeekers, many other activities are available in the area by booking with Swazi Trails, such as white water rafting, horse riding, paragliding and many other activities. Ezulwini Swaziland's main tourist area (1 hour) with the famous Swazi Candle Factory and Baobab Batik. 3469 page views since 31 Oct, 2014. Last updated on 17 Oct, 2017.